AFC - 07/20/11 Animal Experiments are Illegall in Croatia! 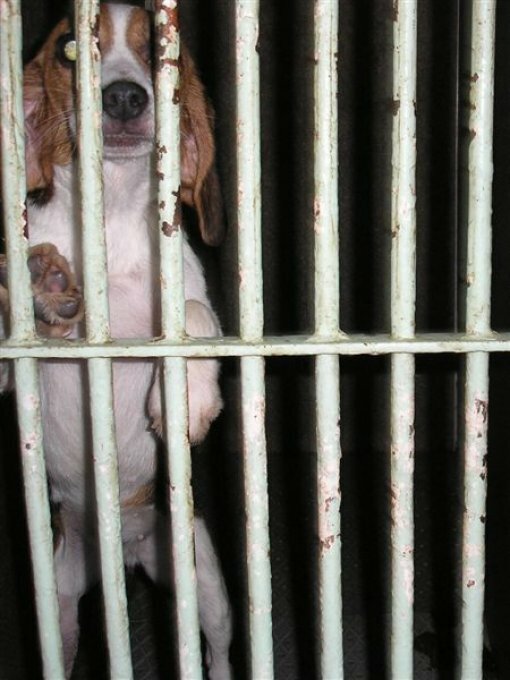 07/20/11 Animal Experiments are Done Illegally in Croatia! 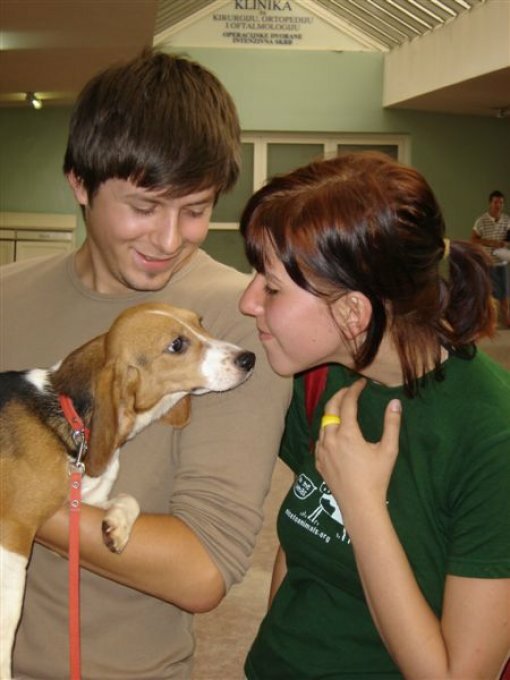 In the action of uncovering illegal and unethical treatment of animals in the famous "beagle affair" on July 21, 2005, beagle dogs were freed from the Faculty of Veterinary Medicine in Zagreb and adopted. Out of 32 deeply traumatised and neglected dogs, 22 had broken bones. After great media exposure, public support when the dogs were freed and reports by animal protection organizations, those responsible have not only escaped consequneces of their lack of professionalism and ethics, but they continue to work with animals. What has changed in Croatia since then for animals who are still tortured and killed for experiments? Croatian regulations are declaratively in compliance with European Union demands, so the Animal Protection Act has been in effect since 2007, which stipulates in Articles 25, 26 and 33 that the authorization on approved animal experiments, authorization on approved animals to produce biological preparations, as well as the authorization which approves using a large number of animals, changing animal species or approved experimentational procedures is issued by a competent body with an opinion from the Ethical Committee. The Ethical Committee was regulated by the Act, and it gives opinions on issues of ethics and animal protection in procedures using animals in experiments and in educational purposes, suggests criteria and gives opinions to a competent body in the process of issuing approval for experiments. In spite of that, not even four years after the Animal Protection Act has been put into effect, and two and a half years after the legal deadline, the Ethical Committee has not started functioning! One of the tasks of the Ethical Committee is to make annual reports on its work, which is submitted to the Minister by the end of March of the current year for the past year. Where are those reports on approved experiments in Croatia for the past two and a half years? It is obvious that competent authorities in Croatia are shamelessly ignoring the laws they have made themselves, confirming that after the 'beagle affair' the legal state stilll turns its back on animals. 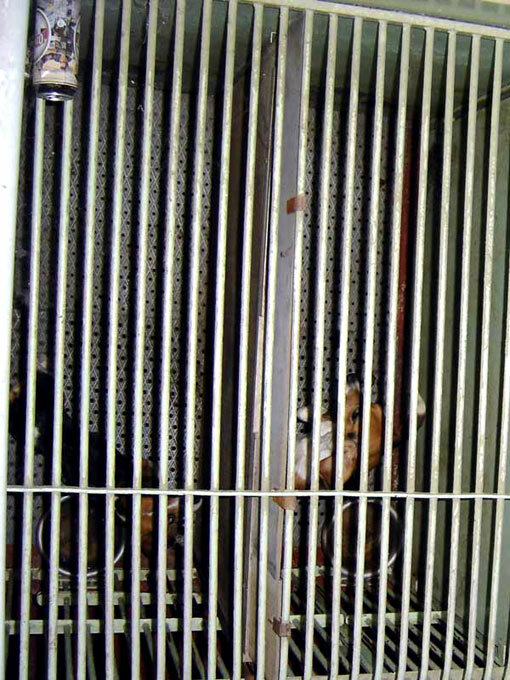 Beagles at the Faculty of Veterinary Medicine in 2005, had their bones broken, although research of that kind had previously been done on humans. Without the Etical Committee, which represents only a minimum of control and transparency in approving animal experiments, numerous invisible animals hidden in laboratories are left to painful, agonizing experiments and death. There are no clear criteria or possibilities of insight into what is done to animals, and every query concerned with animals tortured in Croatian institutions is considered an attack on highly guarded secrets. Competent institutions in Croatia, by their failure to obey the Law by forming the Ethical Committee, have not fulfilled even the minimal conditions to, after uncovering many oversights and illegalities through the "beagle affair," restore the reputation of and trust in Croatian science. It is obvious that Croatian institutions responsible for animal experiments are inert and uninterested not only in enforcing the law, but also in contemporary achievements of science, which is increasingly using more reliable and ethical replacement testing methods, without the barbaric inflicting of pain on sentient living beings. By approving and conducting animal experiments without the opinion of the Ethical Committee, they openly break legal regulations and put selfish interests of producing scientific papers to advance scientists' careers above ethics and obeying the law. By investing in modern scientific methods, Croatia would show not only that it cares about not exploiting and killing animals in experiments, but would do a lot to protect people who will benefit more from new methods than former outdated, repetitive and unprofitable methods of animal experimentation. Animal Friends, as a member of the European Coalition to End Animal Experiments (ECEAE) and representatives of InterNICHE in Croatia, invites citizens to take a firm stand against animal experiments, to be conscientious consumers and buy only products which are not tested on animals. Information on the so-called white list of companies and methods of testing which do not include animals can be found here.